About Us:- Bank of America is an American multinational banking and financial services corporation headquartered in Charlotte, North Carolina. 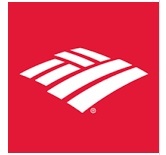 It is the second largest bank holding company in the United States by assets. Investigate the claim for identifying suspicious activities on the claims and also looks for the recovery opportunities.